Google Docs is a powerful word processing program with many unique features including voice typing, the Explore tool, Version History, web fonts, and much more. However, Google knows that even with all of those features, Docs may not be able to do everything you want it to do. So Google Docs allows you to install Add-ons to extend the capabilities of the program. Add-ons are third-party tools that provide extra features for Docs. Over time the amount of available Add-ons has grown tremendously. Over the past few years, I have done a webinar and many blog posts on notable add-ons for Docs. Since technology is a moving target, I felt it was time to take another shot at listing some of my current favorite add-ons. As of this writing, there are just a little over 500 available add-ons for Google Docs. So how do you wade through all of these to find the best ones and the hidden gems? To help out I have collected a list of 20 of my favorite Add-ons for Docs. Certainly this is not a comprehensive list, and there are other awesome Add-ons beyond my list, but these will give you a good place to start. Some of these Add-ons will likely be familiar to you, but hopefully you will find a few new ones or be encouraged to dig deeper into one you have tried before. 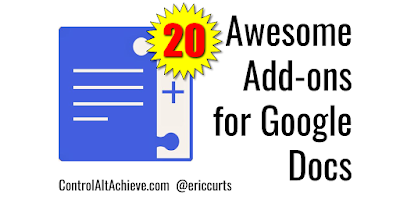 See below for my list of 20 recommended Docs Add-ons, what they do, ideas for how they can be used in schools, and a quick overview of how to install, use, and remove Add-ons. Writing is a process, not a one-and-done event. When a student is writing their first draft, it is important that they simply get their ideas out, mistakes and all. After that brain dump, now comes the work of editing and revising. There are many tools and techniques available to assist with the editing process. 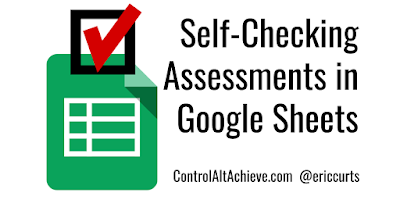 A while back I covered many such resources in my blog post "Self-Editing Tools for Student Writing in Google Docs". 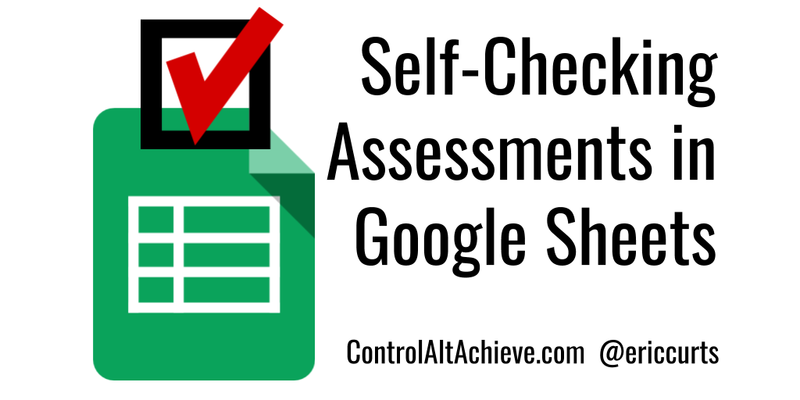 Recently I came across a new add-on for Google Docs that deserves to be added on to this list. The tool is a free add-on called "Writer's Highlighter". 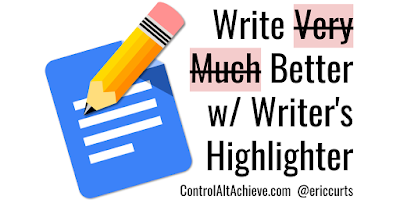 It can be used in several ways, but the main focus is to highlight words in your document that match a customized list. For example, these could include overused words or phrases, including "very", "really", "stuff", and more. The add-on can also color-code your sentences based on their lengths. See below for more details and directions on how to use this very useful tool. Or, rather I mean "this helpful tool". When I used to teach middle school math, one unit I always loved to do each year was my "Music and Math" unit. We explored lots of connections between music and math, while learning about fractions, exponents, prime factorization, and more. We even concluded the unit with a day of student performances called "Curtstock" or "Curtsapalooza" (depending on the year). One of the great things about music is how connected it is to other disciplines. As mentioned above, music can tie into math through fractions (duration of notes), exponents (decibels), multiples (beat), and prime factorization (harmonizing notes). Likewise music can connect with science when exploring sound waves, frequencies, and more, as has influence and occurrence in history, literature, and art. 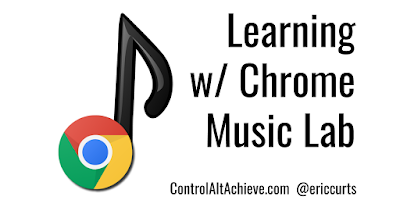 To help explore musical concepts and how they relate to other topics, Google has created the Chrome Music Lab. This is a collection of 13 interactive "experiments" (so far) that let users create, play, and learn with a wide range of music concepts. These activities are also cross-platform, working on laptops, tablets, and phones. I love writing… blog posts, stories, poems, and more. As much as I love it though, writing can be a challenge. Often one of the most difficult parts is just getting started. Sometimes we just need a little inspiration, a jump start to get us thinking down a new path. When my daughter was younger we used to do poetry nights where we would use a website (Watch Out for Snakes) that would randomly create titles for us by putting together adjectives and nouns. We would then challenge each other to write a poem based on one of the prompts, followed by reading our new creations. Yes, I have always been a nerd. Just like those random titles inspired me to compose poems, such tools can help our students when they need to write a journal entry, short story, essay, article, poem, or such. Thankfully there are many resources available to use for writing prompts, story starters, and other writing inspiration. In this blog post we will take a look at 10 example tools to use in your class. By the way, if you are interested to see some examples of what came out of my poetry nights, feel free to check out Elemental Love, Moonstruck Conifer, and Smallest Pony.